Every day, your liver fights the toxins that accrue as a result of the pollution within and without. An overworked and unhealthy liver does a sub-optimal job of removing contaminants, battling free radicals, making vital proteins and performing other critical functions. Don't worry! 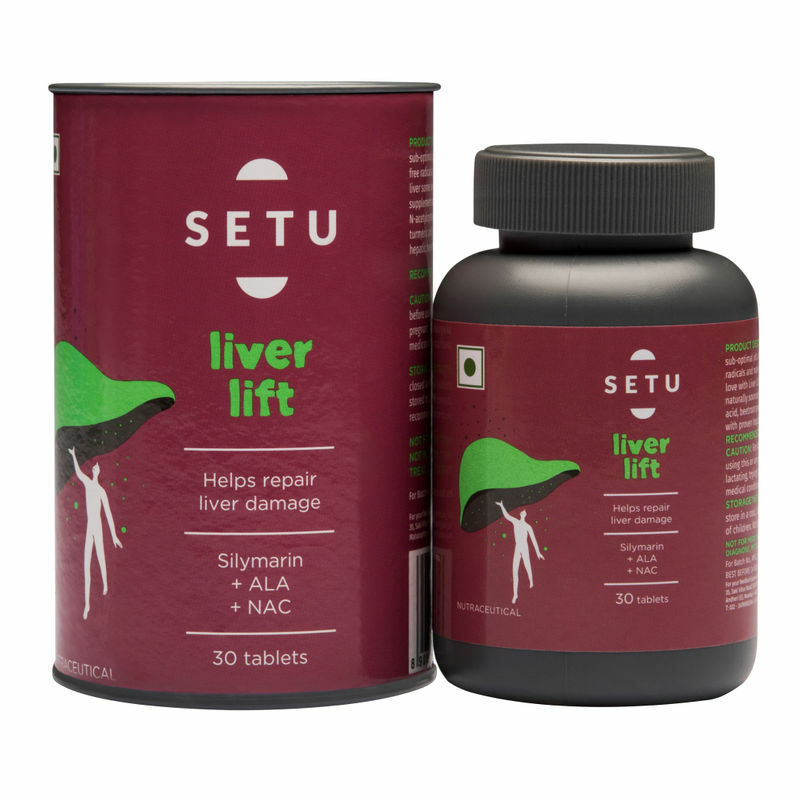 Setu's Liver Lift supplement is the healthier way to repair it. A daily serving contains naturally sourced silymarin, glutathione, N-acetylcysteine, alpha lipoic acid, beetroot, turmeric, biotin and selenium. Each ingredient has proven hepatic advantages and the combined detoxifying action is exponential in this carefully crafted complex. Come on, be a lover of your liver!